Welcome to Issue 15 of Digital Beading Magazine - our last issue! Thanks to every one of our readers who has supported us over the last three years. It's been a wonderful journey! 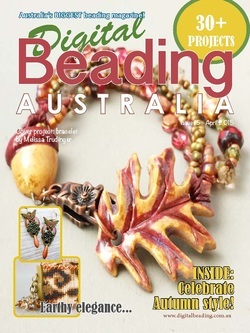 We hope you enjoy this HUGE issue of Digital Beading Magazine - 178 pages of beaded projects and creative inspiration.